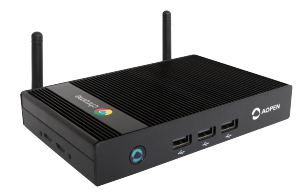 Aopen Chrome Devices for Digital Signage new Chrome OS based Chromebox Mini and Chromebase Mini have a lot to offer for the digital signage and kiosk industry. These two products are AOpen’s first commercial Chrome devices targeted to a lower cost market. From a user standpoint, here are some thoughts, specifications, and how we plan on utilizing these two new devices released in 2017. 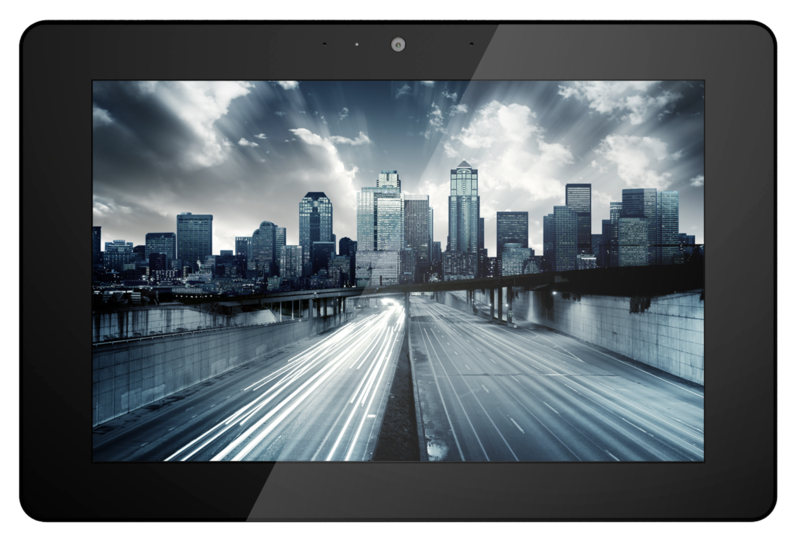 AOpen’s latest addition to their Commercial Chromebase line of products, features a great looking 10.1” touch screen. The very first thing we noticed about this device was the weight, at 2.7 lbs this is not a tablet! The Chromebase mini is built for a commercial environment, an all metal enclosure makes it an admirable alternative to a cheap tablet for a high traffic, high use environment. Another feature differencing the Chromebase mini from a cheap tablet is the lack of an accessible power button to limit tampering with the device. We see this device being used for retail end-cap displays, conference room displays, calendar/scheduling displays, wayfinding, and many more use cases. 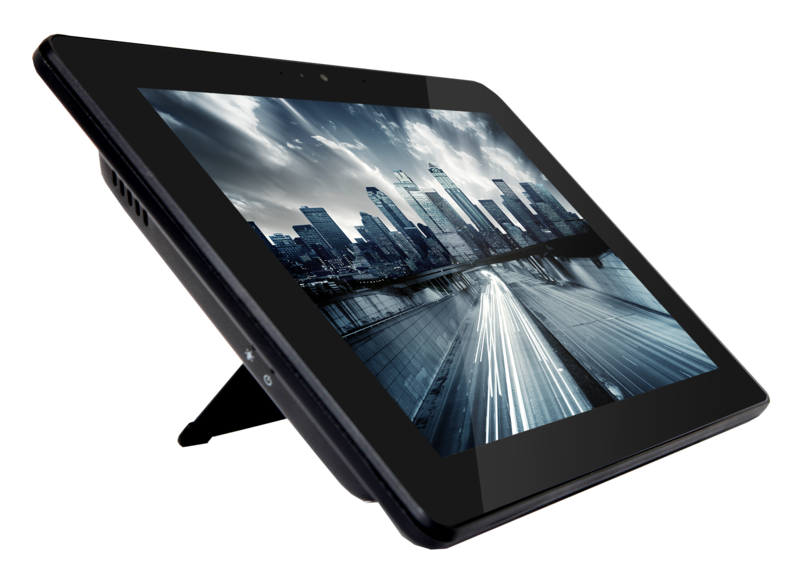 The touch screen features 1280x800 resolution and supports up to 10 point multi touch. Overall the screen looks great and is a big win for this device. The Chromebase Mini shares most hardware specs with the Chromebox Mini and has similar processing power. Standard VESA mounting patterns on the back of the device make finding a mounting solution extremely easy. The HDMI output on the device is great to see for multiple monitor displays. The metal case makes it perfect for commercial use, or affordable enough for consumer use. AOpen’s latest offering in their line of commercial grade Chromeboxes, is the aptly named Chromebox Mini. Just under 6″ x 1″, the device undoubtedly has one of the best form factors we have seen in a Chromebox. The Chromebox Mini comes with WiFi antennas which can be rotated to your desired angle, this inherently increases the footprint of the device but in tight environments, the built in ethernet connection can be used instead. The processing power of the Chromebox mini seems to be on par with similarly priced devices, although hardware specs are noticeably cut down from the rest of AOpen’s commercial Chromeboxes. Built in video output is limited to just one HDMI port. The Chromebox Mini also has a connection for a external power switch in the situation where the power button won’t be easily accessible. The Chromebox Mini’s form factor and other features make it a great choice for someone looking for a powerful box for a traditional screen/player combo. The form factor of the device makes it easy to mount in existing enclosures and new installations.